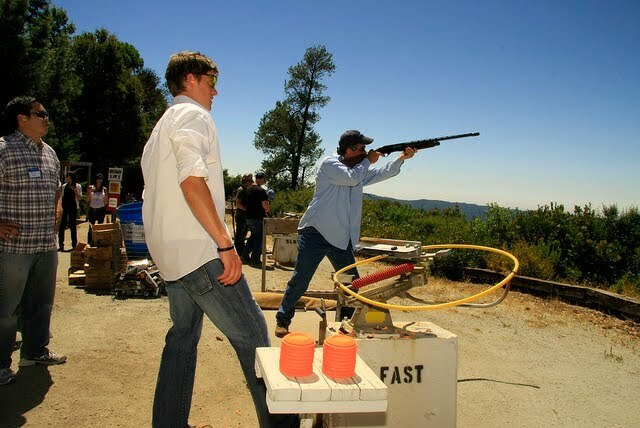 MerchantCircle | Blog: Merchant Circle's 2nd Annual Trap Shooting Event! Ammo and alcohol? It's usually a dangerous pairing, but last Thursday the MerchantCircle team turned this combo into a fun-filled networking event. Cubicles around The Valley were abandoned early as MerchantCircle members, friends, investors, and associates headed south to the Los Altos Rod and Gun Range for MerchantCircle's 2nd Annual Trap Shooting and Wine Tasting Event. To celebrate a wonderful year of merchant success, rookies with rifles and seasoned shooters turned out for a hot afternoon of drilling clays and networking over piles of shells. After guests enjoyed a BBQ lunch provided by the locally famous Uncle Franks of Sunnyvale, they headed Saratoga's Savannah Channelle Winery for tastings, tours and tacos! 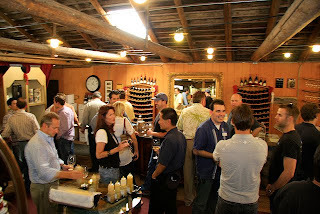 Award-winning Pinots and the Mis Antojitos taco truck rounded out a perfect day! Nothing tells the story of the day like the photos! Head over to MerchantCircle's listing page to see more of what San Francisco photographer, Michael Popso, captured. We're already looking forward to next year's event! If you missed this one… start your target practice now!